05-02-18 Colorado Water Congress Summer Conference Aug 22-24 – Registration Open NOW! Colorado Water Congress Summer Conference Aug 22-24 – Registration Open NOW! The Colorado Water Congress Summer Conference and Membership Meeting takes place annually, in August, for two and a half days at a Colorado resort location. 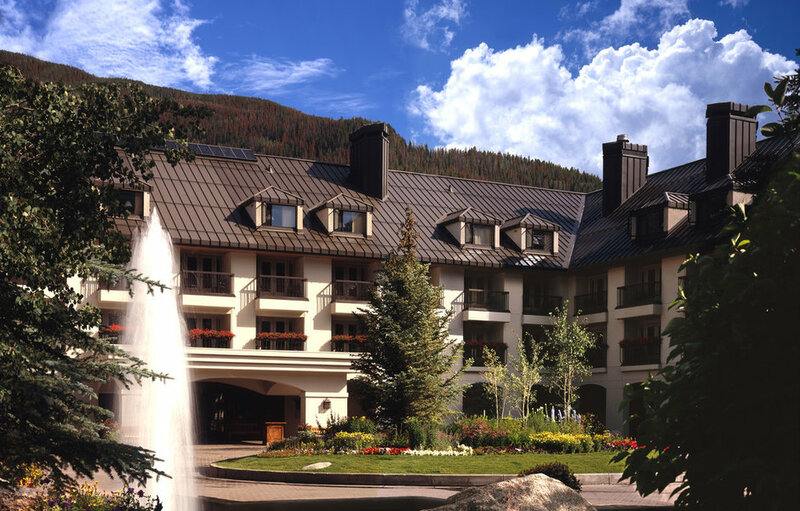 The 2018 summer conference will be in Vail at the Hotel Talisa, starting Wednesday, August 22 thru Friday, August 24. Registration is open. The Kansas Water Congress and the Colorado Water Congress will host their first ever joint webinar next month! Join us on Thursday, June 21 for an interactive webinar, and learn the latest on the Water Transfer Rule, the Waters of the U.S., and the Maui Case. Our speakers will discuss the ins and outs of these issues, and then compare and contrast the impact they would have on Colorado and Kansas. How will the latest changes affect us? How is each state handling these changes? What more can be done? The 2018 Colorado Legislative Session will come to an end next Wednesday, May 9th. This session has been a successful one for the Colorado Water Congress and Colorado’s Water community. We could not have reached our goals without our contract lobbyist Dianna Orf and her firm, Orf & Orf, P.C. Thank you for their efforts at the Capitol these last few months. DENVER, CO, April 24, 2018 – Effectively immediately, Natural Resources Conservation Service (NRCS) financial assistance program participants will no longer need a Dun and Bradstreet Universal Number System (DUNS) number, or to register in the System for Award Management (SAM). The Consolidated Appropriations Act of 2018 (2018 Omnibus Bill), signed by President Donald Trump on March 23, eliminated these requirements. DENVER, CO, April 30, 2018 – USDA’s Natural Resources Conservation Service (NRCS) recently released the 2018 National Resources Inventory (NRI) Rangeland Resource Assessment. This is the third NRI rangeland resource assessment; earlier reports were released in 2010 and 2014. CLICK HERE to find all reports on the NRI Technical website. NRI is a statistical survey of land use and natural resource conditions and trends on U.S. lands. Data is continually collected from several preselected spots representing hundreds of thousands of acres on a rotational basis across the country including rangeland, cropland, and many Bureau of Land Management (BLM) landscapes. April 24, 2018, DENVER, CO – Each year, the Natural Resources Conservation Service (NRCS) conducts a nation-wide search for its National Earth Team Volunteer of the Year. Colorado is proud to announce the 2017 honoree is Glen Kirmer. Kirmer works with the NRCS and Northeast Prowers Conservation District (CD) in the Holly field office which is located in southeastern Colorado. This honor is well deserved, and his story of volunteerism is steeped in commitment and dedication. Kirmer was not only named the 2017 national honoree but as the West Regional and Colorado State Earth Team Volunteers of the Year as well. DENVER (May 2, 2018)—Potatoes USA announces nominations are now open for new Board Members for the 2019-2022 term. Fifty-eight members will be elected or re-elected to fill open seats. Potatoes USA is the nation’s potato research and promotion organization and is the central organizing force in implementing programs to strengthen demand for U.S. potatoes. Potatoes USA provides the ideas, information, tools and inspiration for the industry to unite in achieving common goals. All state potato organizations have received the information and materials to begin the process of seeking and nominating interested growers. All growers will be seated on the Board at the 2019 Annual Meeting in Denver, March 12-14, 2019. A new report from Rabobank shows an increased chance of four-dollar corn this growing season. As 2018 corn planting is underway, the report shows key risks are developing that can drive price volatility and potentially sustain elevated grain prices through the 2018/19 season. The report explains that while demand is staying firm, the projected corn acres and current global corn stocks are declining compared to the past few years. The report notes that this environment provides little room for production deterioration in the 2018 growing season. Any additional loss of production through acreage or yield loss will put pressure on corn prices. The Rabobank Pricing Probability model forecasts that there is now over a 50 percent probability that futures prices will remain near to or exceed $4 per bushel through December, and 2018/19 corn has a 24 percent chance of sustaining greater than $4.70 per bushel. Agriculture Secretary Sonny Perdue this week said no news should be expected this week regarding the North American Free Trade Agreement. That’s because Trade Representative Robert Lighthizer is traveling to China, according to the Hagstrom report. The comments came as President Donald Trump had extended tariff exemption for another 30 days to Canda and Mexico as a permanent exemption is expected as part of NAFTA. In a statement, the White House said the administration is “focused on quotas that will restrain imports, prevent trans-shipment, and protect national security” in trade negotiations with the EU and NAFTA members. However, Perdue told reporters earlier this week that the European Union “has played hardball” over the steel and aluminum tariffs the United States has threatened to impose. Trump also granted an exemption to South Korea as part of the revised Korea-U.S. Free Trade Agreement, known as KORUS. The Department of Agriculture is celebrating May as World Trade Month. In doing so, the department is highlighting its success and commitment to expanding trade of agricultural exports. Agriculture Secretary Sonny Perdue says he is “proud of the progress we make each day” at USDA regarding trade. The celebration comes as the U.S., however, is amid a trade dispute with China, and the renegotiation of the North American Free Trade Agreement. Agricultural trade is critical for the U.S. farm sector and the American economy. In 2017, U.S. exports of food and farm products totaled $138.4 billion, up from $134.7 billion in 2016. Additionally, farm exports supported more than 1.1 million American jobs across the entire economy, according to USDA. A legislative effort in Missouri could set a precedent for whether or not fake meat companies can continue to allegedly mislead consumers. Last week, the Missouri House voted 107-38 to advance the legislation that bans labeling lab-grown meat products or substitutes as meat, and is the first state to address labeling of imitations legislatively. The proposal is backed by the Missouri Pork Association, the Missouri Farm Bureau and the Missouri Cattlemen’s Association. However, a California-based company, Impossible Foods, has hired three lobbyists in Missouri, a move the state cattlemen’s organization assumes is an effort to defeat the legislation. The company produces a plant-based product imitating hamburgers. Missouri Cattlemen’s Association executive vice president Mike Deering claims the company has “no problem” labeling its products as meat, and “makes no secret about its anti-livestock production stance.” Opposition to the bill says misrepresentation is already prohibited by federal law and argue against creating a state-specific regulation that would differ from the other 49 states. Agriculture Secretary Sonny Perdue Tuesday announced eligibility details for a new U.S. Department of Agriculture disaster program to help producers impacted by recent wildfires and hurricanes. Through the new 2017 Wildfires and Hurricanes Indemnity Program, the USDA Farm Service Agency will deploy up to $2.36 billion that Congress appropriated in the budget bill to help farmers with recovery in at least nine states with hurricane damage and states impacted by wildfire. The new eligibility requirements for wildfires state that any crop, tree, bush or vine, damaged by a 2017 wildfire is eligible. For hurricane relief eligibility, a crop, tree, bush or vine must be located in a primary disaster county with either a Presidential declaration or a Secretarial designation due to a 2017 hurricane. Crops, trees, bushes or vines located in other counties may also be eligible if the producer provides documentation the loss was caused by a 2017 hurricane.